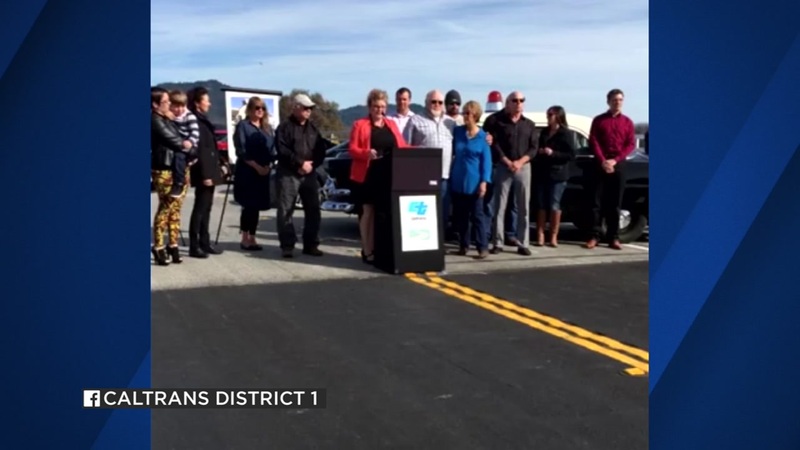 WILLITS, Calif. (KGO) -- The long delayed $300 million Willits Bypass is finally open. The new six-mile stretch of Highway 101 routes traffic around a major bottleneck in the town of Willits in Mendocino County. Hundreds of people turned out for the opening ceremony Thursday, which was live-streamed on Facebook. A parade of classic cars led the way before the road was open to the public late Thursday afternoon. A portion of the bypass is named for Jesse Pittman, a local Navy Seal killed in Afghanistan. This day was all about celebration, but ABC7 News has reported extensively in the past on major environmental issues, protests and construction problems that led to a huge cost overrun on the project. For our full coverage on the Willits Bypass click here.